There are also a many options using OLD EB and ODBC connection strings as well as Excel, Outlook, XML, and CSV files. In general connecting to a table, query, or view is straightforward. But you can also connect to a stored procedure by defining the SQL directly. And you can pass parameters to those stored procedures as well. In the following figure, you can see a a stored procedure defined in the SQL block. This can be edited directly on this form. As long as you have a valid ODBC, PDC, SDC, or QB Connection, you should be all set to retrieve data from stored procedures. 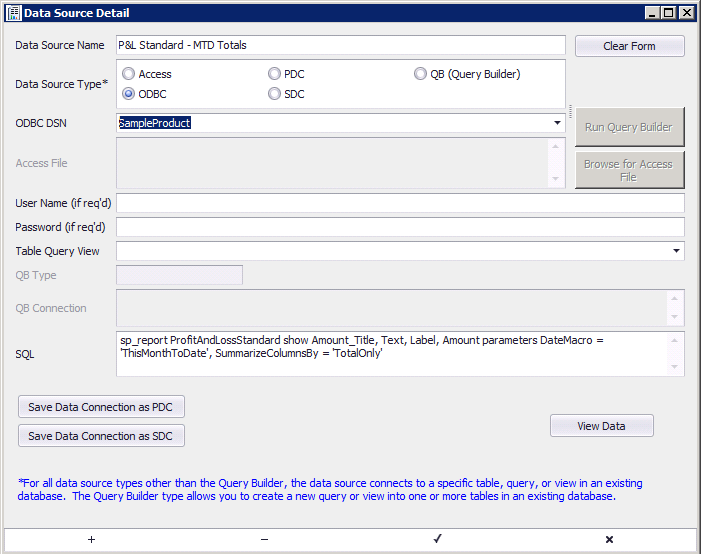 This implementation is similar in functionality to Microsoft Access Pass-Thru Queries. 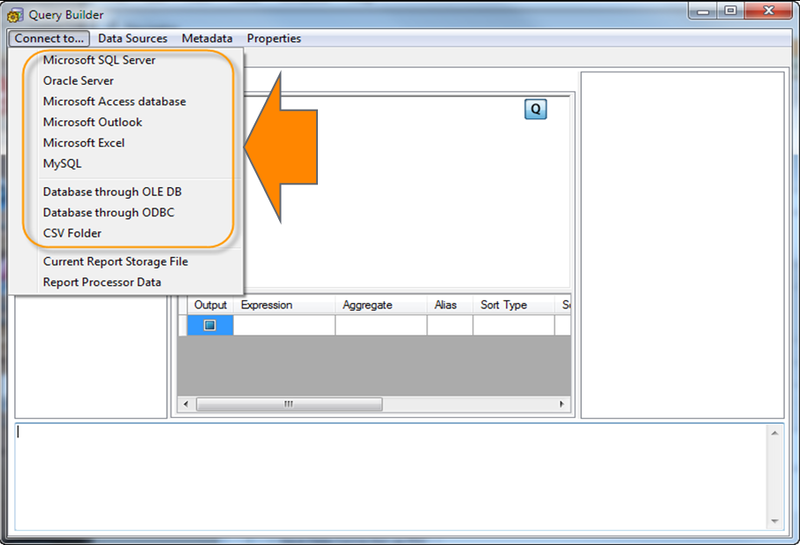 There are 9 different data source types and even more when you construct a connection string using OLEDB or ODBC.